Natalie graduated with first class honours from De Montfort University in 2013. She has been here at ZigZag for over 5 years working in the studio and has looked after many of our nurseries for that time. Which means she may have seen your child go from baby to nursery graduate! Natalie is friendly, bubbly and great with children. 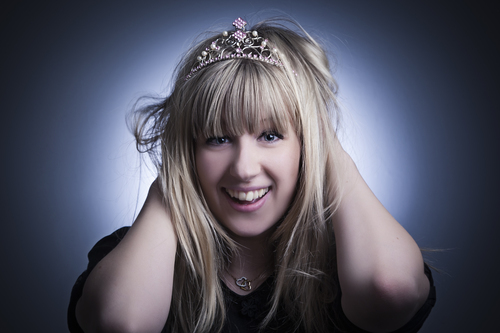 We love it when people bring in personal items to their shoot - Natalie is a big fan of Disney so loves all things princess. Alex has a massive passion for travelling and has volunteered in South Africa. After backpacking around Indonesia, she graduated in Fine Art with Photography from the University of Chester. She has moved back to Leicester where she lives with her family. Alex loves cooking, sport and animals – dogs and rabbits are her faves, she can’t wait to photograph yours! She also has an orange car called Rusty! Kerrie also adores her Disney songs and characters that she plays Disney music constantly while she works. She is great with kids with her bubbly fun personality. Black and White images are her favourite but loves to have splashes of colour to match with the fun.